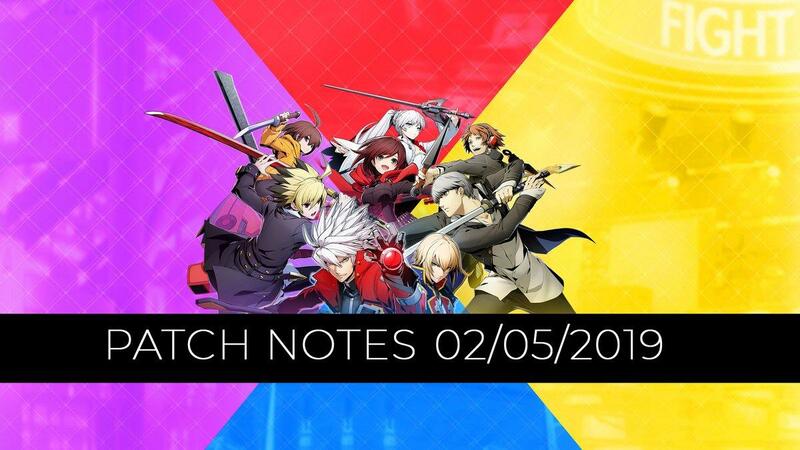 The new "BlazBlue Cross Tag Battle" arcade patch, notes of which had recently been translated to English, saw major system and character changes being introduced. Team Scythe, which has been an infamous pair in the game’s competitive circle, had also been nerfed. The official Arc System Works website detailed the changes for the game systems and characters. The changes heavily affect the Team Scythe characters, Ruby and Gordeau, as both system and character changes hamper their gameplan to achieve victory. This pair has been notorious since EVO 2018 tournament as the Japanese players literally swept the tournament pools with these two, and many Ruby-Gordeau players placed in the top 8 of the competition. Since then, many players do not like facing off against this team as they feel like they are playing basketball before the shot clock violation rule was introduced. However, the developers have yet to announce the exact release date of the patch and it's not yet available on the PS4, Nintendo Switch and PC versions. The new changes, especially to the Cross Combo gauge and the heavy Gordeau nerfs, have killed most of Team Scythe’s potential. The Ruby-Gordeau pair relied on locking down the enemy team with gigantic attacks that leave enemies with limited options to fight back and just block. Any attempts to escape would be caught by either character’s wide swings in the mix. All in all, "BlazBlue: Cross Tag Battle" players may see some fresh character faces rising up to relevance with these changes. So far, many characters received buffs and adjustments in this patch. Known lacking characters such as Nine, Akihiko, Chie and Labrys have received some monumental changes, which could affect not only their approach, but also their playstyle in the game. While some changes look good on paper, we’ll have to wait for its actual application upon release to know if they’ve really have changed or just got fancier tools. As of now, many fans are still waiting for the “Fifth Fate” release for this game. The Fifth Fate seems to be another series that’ll crossover with the other four series and is expected to bring new playable characters into the game. While the Fifth Fate’s release somehow feels like a Season 2 upgrade to the game, the developers have yet to announce any solid dates for its release.